The tastiest Vietnamese Street Food ever! 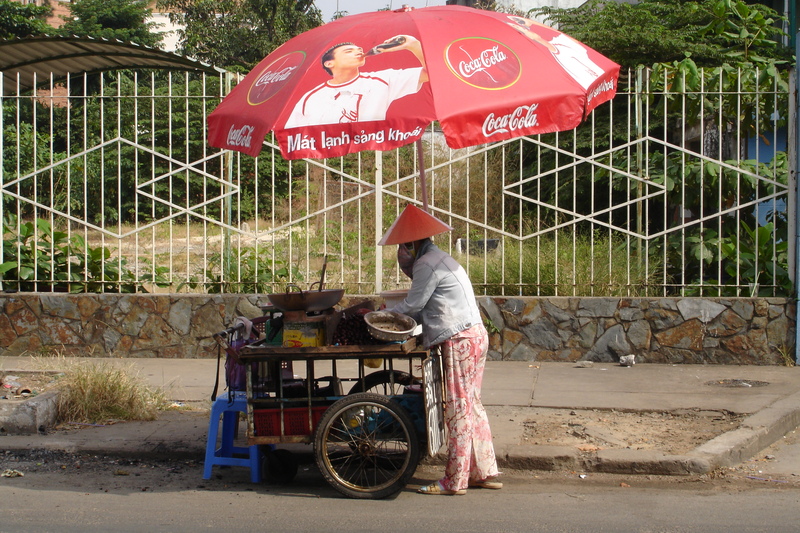 Street food is an important part of every day life in Vietnam and the tastiest way to get to know the culture. 1. The best place in Ho Chi Ming City to try street food is at the Pham market. One of the first dishes you have to try is “Ban Xeo”, which is a large crispy omelet with prawns, pork, beansprouts, spring onions and tones of oil. The golden crepe (rice pancake) is accompanied with a fresh array of vegetables like basil, a savoury leaf (which they call the fish leaf), a large leaf that tastes like wasabi, and a range of others I dont know the names of. Together the flavours fuse into an incredibly crispy, savoury, minty mix! It’s a messy dish because you eat with your hands so take some wet wipes with you. You break the “Ban Xeo” into pieces and then pack it onto the big fish leaf with an assortment of the other leaves, sprouts and onions. You roll it into a spring roll with the lettuce and dip it in the fish sauce as you eat it. Absolutely delicious!!! 2. If you can imagine beef noodle soup for breakfast, then you decidedly want to try “Pho”, aVietnamese dish that has been around for nearly 100 years. You will find a pho shop on nearly every street. The small local “Pho” shops are the best even though they might not always look as clean as you would want them to. In this classic soup, paper-thin slices of beef are cooked with rice noodles in individual serving bowls into which hot beef stock, herbs and spices have been added. Just be sure to ask for the chillies on a side dish so that you can add it too taste other wise your “Pho” might be too spicy to eat. 3. 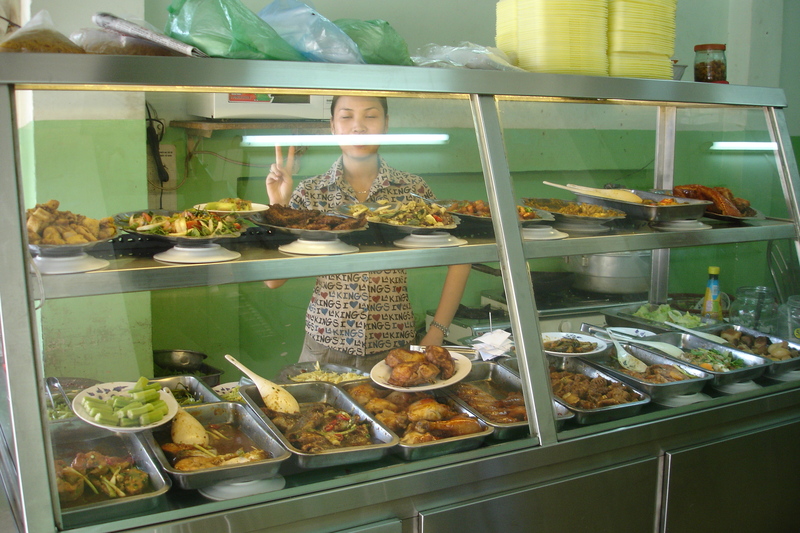 Another fabulous Vietnamese food source to try are the small family home restaurants. Some of them can only accommodate a few diners and are called “Rice Places”. You can usually get a dish of fish, chicken or pork with rice and vegetables for a very decent price. They usually have very tasty dishes but you have to make sure to get there early before they run out of the best dishes. Eating at one of these Rice Places works out cheaper than what it would cost you to cook that dish for yourself at home. It is here that I was introduces to tea-eggs. Eggs boiled in tea so they are brown in colour. They are tastier than what they look, trust me. Overall food in Ho Chi Ming City is great, there is something for every taste. 19 Responses to The tastiest Vietnamese Street Food ever! I’ve never heard of eggs boiled in tea but that’s something I’d be willing to try! I love Vietnamese food and I especially loved Pho, the real Pho with all the bitter herbs and vegetables and I also like the Ban Xeo. I had a blast when I went to Vietnam such a long 7 years ago. Sigh! Street food is so the best. Yum! I miss the street food and haven’t been able to fine any place that served Pho as good as in Ho Chi Minh! I miss the VN street food, and I especially miss that you could find a place to sit and relax and eat or drink something good almost everywhere. Occasionally, the food wasn’t so appetizing, but that was unusual. I agree, most of the time the food was delicious, and often at the most unexpected places you found great dishes you went back for time and again. i’m a big fan of pho! and vietnamese spring rolls! yumm! I definitely miss fresh Vietnamese spring rolls!! I absolutely love street food and it’s quickly becoming the go to place for all meals (I have several cousins that have never eat a meal cooked at home)… so it makes me wonder: in a generation will cooking be a lost art for the general population? Street food in Asia is huge where as here in South Africa most people will do street food only as a treat or when on holiday. 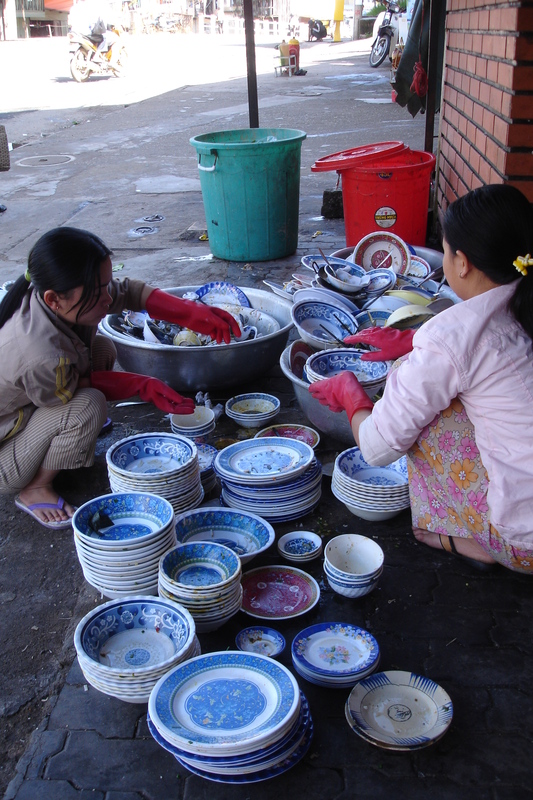 Its not hard to believe as my whole year of living in Vietnam I never once cooked anything at home. My goodness, I’m salivating. Pho is one of my favorite foods. Interesting thing about the beef in Pho, it is raw when placed in the soup, just before it’s served. As the soup is brought to you, it’s just then cooking. One time, I got Pho to go and brought it to work. When “to go” they give you the unassembled pieces of the soup. My co-workers were appalled to see the raw meat before I placed it into the broth. Only two were ever willing to try it. It’s one of the best things about travel, isn’t it, the eating? The Ban Xeo sounds amazing and I am already a Pho addict. I saw in Taiwan and China how popular big bowls of steaming soup are for breakfast. We are not used to eating like that for breakfast in the West, but I think it might be a great way to start the day. Great photos, J. Thank you! I agree, the food is a huge positive when traveling as you get to taste so many different flavours and dishes you have never come across before. I still cant stomach pho for breakfast but its great for lunch or dinner! I am so jealous, I havent been able to find a Vietnamese Restaurant anywhere here in South Africa!